How Far is Geomatrix Silver Crest? We often wonder if we could manage and search a location, where you can have your own luxurious house, equip it along with the modern day amenities and live a lavish life, all this sounds impossible, you cannot have all this, together in one perfect place, but Geomatrix Developers have brought to you an enclave of magnificent apartments, in Khandeshwar, Kamothe, Navi Mumbai. The group has made this impossible dream become a reality. 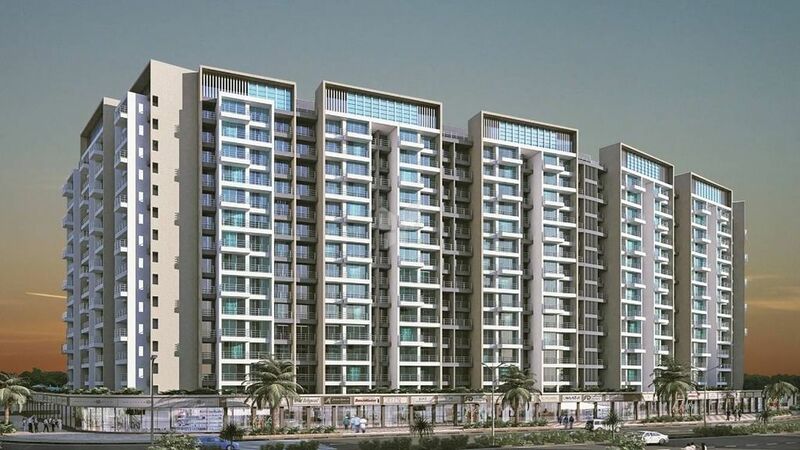 This meticulous project Geomatrix Silver Crest is under development stage and it offers you ready to occupy flats for sale in Navi Mumbai, it comprises of compact and spacious 1BHK flats in Khandeshwar as well as spacious 2BHK flats for sale in Navi Mumbai with good ventilation and ample natural light. These apartments are well - planned to provide you maximum space, well - equipped with basic amenities and designed with the best interiors and exteriors. It serves you the best experience of a contemporary lifestyle and elevates your standard of living. The residents in Geomatrix Silver Crest are blessed to have an array of amenities such as jogging track, senior citizen sitout, intercom, and video door phone. Take benefit of all this at Geomatrix Silver Crest and live a joyous life with your family.